While conferences encourage employees to exchange ideas and information, conference rooms are also perfect for training sessions and brainstorming. With rising travel and accommodation costs, it’s common to find an increasing number of companies opting to have their own designated area for meetings and conferences. Moreover, conferences are not restricted only to employees; you can organize meetings with partners, suppliers or customers – all in the comfort, elegance and privacy of your office conference room. Apart from important contributing factors like the size, furniture, design and layout, it’s equally crucial that your conference area be able to trigger a friendly vibe among participants. It’s a very simple concept; the more your employees communicate, the better is going to be your bottom line at the end of the day. So how do you design your conference room or meeting space to reflect your company image and what your business stands for? Conferences can be excellent morale boosters and can help employees to know each other better. Fortunately, with modern designs and styles of conference room furniture, you have an amazing array of tables, chairs and layouts to choose from. A trendy and attractive conference area is an absolute necessity for any self-respecting business in today’s world. It is upto to you to transform a staid four-walled space into a vibrant and dynamic zone. Banquet style layouts involve seating attendees around oval or hexagonal tables. If you have a business which involves frequent training sessions for staff members, this layout style works very well. The smaller groups provide for more personal communication and group interaction. The banquet style design is also perfect if most of your conferences include meal times. Each table should ideally seat 6 to 10 participants. Banquet tables typically come in various styles with a standard height of 30 inches. You can also choose from attractively designed folding and portable banquet conference tables that come with several style options including oval, square, hexagon and octagon. The round tables for the banquet style come in sizes of 5 or 6 inch diameters. The 5 inch tables are able to seat 8 chairs while the 6 inch tables seat 10 chairs. If your office conferences often includes slide presentations and talks that require a speaker-audience interaction, then this style of seating works best. The seats should ideally be arranged in a semi-circular pattern while avoiding seating one attendee directly behind the one in front (in order to facilitate better view of the speaker/slides). Other formations for the theatre style seating would include the arrow or herringbone pattern that tapers towards the speaker. Theatre conference seats come in both wooden as well as metallic finishes and in a variety of interesting colours. As the name suggests, this involves rows of participants seated one after the other. An improved variation on the classic style is to slightly angle the rows towards the center leading to more moving space. The resulting pattern resembles wings spreading from the center. The rows would typically require 8 foot long tables with 4 to 5 chairs angled along each table. This works great if you have a large space at your disposal and tends to create a more informal, genial and cordial environment. This is a fantastic option if you have a bigger area to play with. This includes a large hollow rectangular or square table around which participants can be seated while facing each other. The hollow rectangle layout is classy, elegant and allows for improved face-to-face interaction. The concept works particularly well if you have a fewer number of participants, typically less than 25. Budget not a problem? If you are in the happy position of enjoying a bigger budget, there is nothing to beat a high end conference room design. Conference tables often come with AV optimization and the best idea is to hire an AV designer to integrate a state-of-the-art system that blends with your layout. High end conference rooms typically include an elegant and classy rectangular desk with upholstered swivel chairs for participants. The chairs come equipped with padded arm rests and comfortable foot rests to ensure that attendees can conduct a high-level meeting without feeling fatigued. High-backed leather upholstered chairs make the perfect choice for classy conference room décor. Again, elegant conference rooms might have the AV equipment stored in a classy cabinet or in a slide-out rack in the wall. This means that the screen etc can be concealed out of sight when the room is not in use. What do you want your conference room to convey? Your conference room can be personalized to reflect the values of your business. For example, if you run a high-tech business then your conference room must be equipped with the latest webcams, LCD projectors and microphones. You can play with brighter color themes for your walls like blue or light orange. On the other hand, if yours is an investment company dealing with high brow clients, you might want to go for a more sober and classy look. In that case, keep the color themes to beige, browns or off whites. Younger businesses would tend to opt for trendier and funkier styles and layout designs. The first and most important factor to consider is the space you have available. The layout that you choose should keep the room from getting overcrowded. For example, the classroom and hollow rectangle design styles are only suitable for larger room areas. Take care to leave at least roughly 4 feet between your conference table and the walls to allow free walking/moving space for your attendees. Keep a recommended space of roughly 30˝ between conference chairs to allow participants to get up without bumping the next guy. Also, a distance of about 30 to 34˝ is advisable between the table and the chairs to enable guests to get up without banging their knees up against the table. For clear viewing of the screen/slides, maintain a distance of at least 56˝ between the table and the screen. Conferences need AV technology and often require the speaker or assistant to move around switching the lights/sound/slides on and off. You don’t want ugly wires sticking out of your table ends or behind the screen. If, for example, you have regular training sessions for your employees that are interactive by nature, you need to incorporate two-way AV systems that allow the speaker as well as the attendee to communicate. You may require microphones on the participants’ tables as well as the speaker’s. Every office need not invest in all the bells and whistles associated with AV technology. The nature of your business will have a major impact on how much technology you want. Conference rooms are typically fitted with tile ceilings and carpeted floors that offer an absorbent surface to reduce sound reflection. 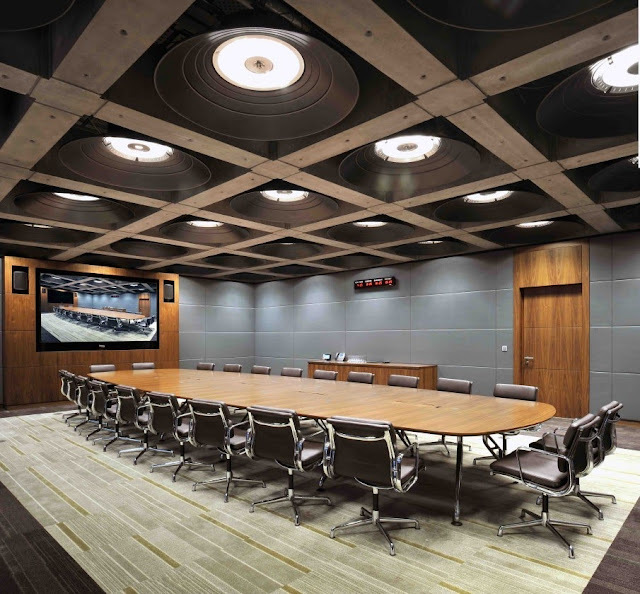 High end conference rooms, on the other hand, tend to be designed with more ‘hard finish’ furniture such as tables and chairs that add to sound reverberation. Poor quality acoustics can render talks unintelligible and eventually leads to waning interest. Ensure that your conference room has enough materials that absorb sound. Similarly, lighting can pose a challenge while designing the room. 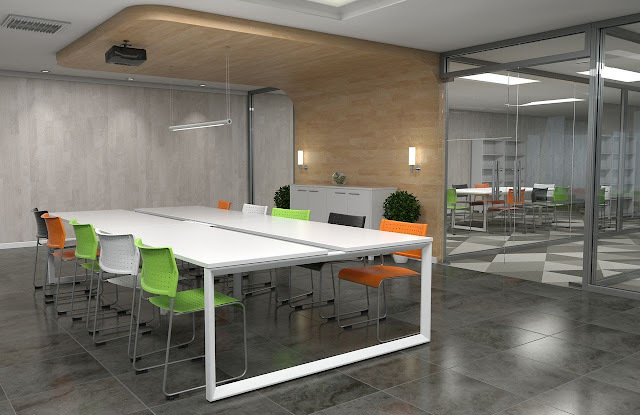 Unwanted reflections must be minimized while ensuring that each seating area gets adequate light especially if attendees are required to read from materials or write during the meeting. It makes sense to invest in high quality light bulbs that are energy efficient at the same time. This is the electronic age and people often forget to carry a pen and pad to meetings. If your conference involves note taking, ensure that you provide writing materials to your guests. What kind of furniture should you choose for your conference room? The furniture that you choose is going to give your room character and set the tone for future meetings, training sessions and discussions. A balance between functionality, aesthetics and budgetary considerations is a good starting point. 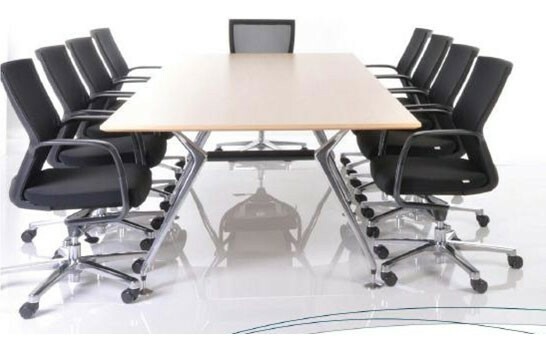 Meetings can run on for hours so you might want to invest in high quality, ergonomically designed chairs and tables that offer excellent comfort and promise durability. The décor and layout of your conference room must be able to help attendees develop a sense of purpose and focus while promoting a friendly atmosphere. The design must balance adequate space with a sense of belonging and every guest must be able to enjoy full participation. The spacing must be such that individuals must not feel confined by other people or by the overcrowding of furniture. If your office follows an open plan seating and encourages a friendly and informal interaction, keep your conference area bright and funky in alignment with your company image and values. No office conference room is complete without provision for refreshments. Refreshments provide relief from long-winded meetings and increase a feeling of informality and cordiality among participants. 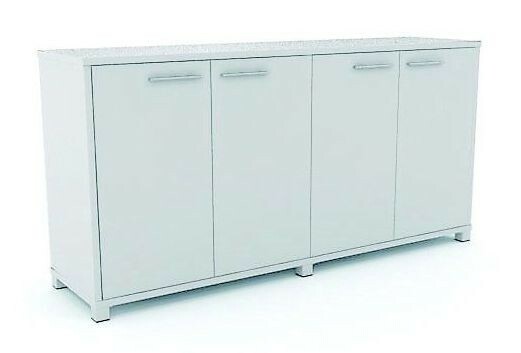 Sideboard cabinets or refreshment carts are perfect choices for office conference rooms. Adding a piece of art or a strategically placed plant can add character and value to your room. Your conference room is not only a meeting place for exchanging ideas and communicating with each other. A conference room can make that all important first impression on potential clients or a new supplier and sets the scene for future interactions.